I saw this car creeping along in rush-hour traffic this afternoon on Bergshamravägen (the E18), on the way toward Danderyd. 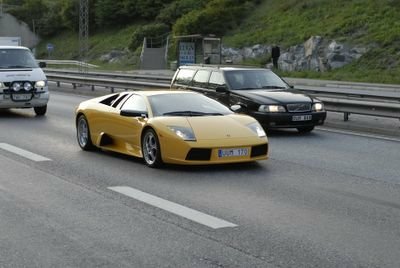 Who in Sweden can afford a Lamborghini? CTRL-F "we are rich in sweden"